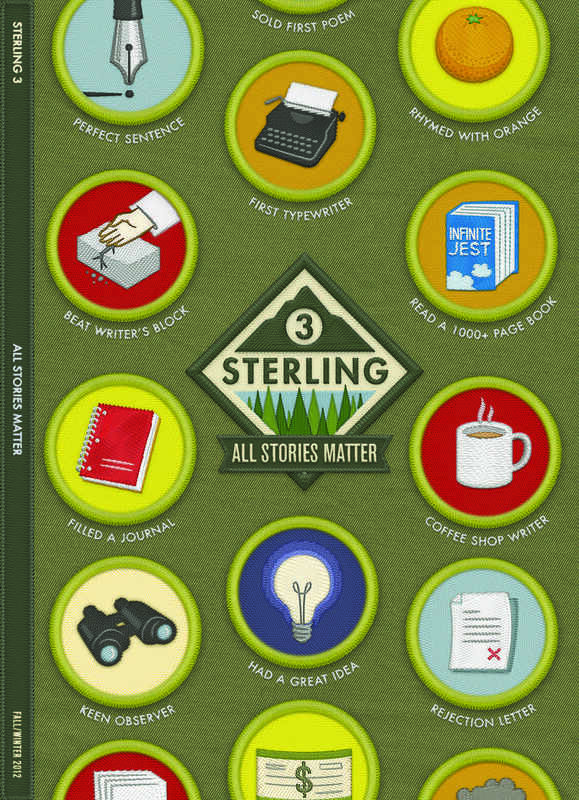 Literary journal Sterling Magazine contacted me to do the cover art for their third issue, exploring the theme of boy scout-like merit badges for writing accomplishments. I created the artwork as vectors, then applied a series of filters in Photoshop to give it the embroidered look. For the final version, we made actual embroidered patches of the logo and applied them to the covers.